As my family is getting bigger, I am in the market for a TH. I currently own a Sabre Silhouette with bunks & the kids are just getting too big to fit in the bunks comfortably. The only option that I see out there is going with a TH with the dual electric lift beds in the garage. I have 3 kids, so one with a loft would even be better so they each have their own beds. Any sugessions on brands & models would be greatly appreciated!!! Xlr hyperlite 30hds couch, party deck, pass thru dinette. We love our Vengeance 29V. Happi Jac bed system in the rear makes 2 huge beds. We have 3 boys that sleep in the garage. We have a Shockwave F33SAGDX TH with open garage and no divider wall and2 queens that lower from the ceiling. It is very easy to have a blow up air mattress on the floor and just slide it under the lower queen bed when not in use. We only have 2 kids but one or the other always has a friend with them. Keep in mind the 33 in the model # means nothing. Dealer told me it was to designate the length....... wrong. Mine measures 36'6" from tip to tip. Going to be putting the air mattress idea to use this weekend as my daughter has softball tourney and we are housing half the team to keep costs down for the kids/parents. You might look at the Palomino Puma Unleashed 356QLB, it has twin electric beds in the garage and a loft. The wife and I don't have kids but we have the 351-THSS. We do have two motorcycles and sometimes friends (haha!!!) We went with this model because of the dinette. 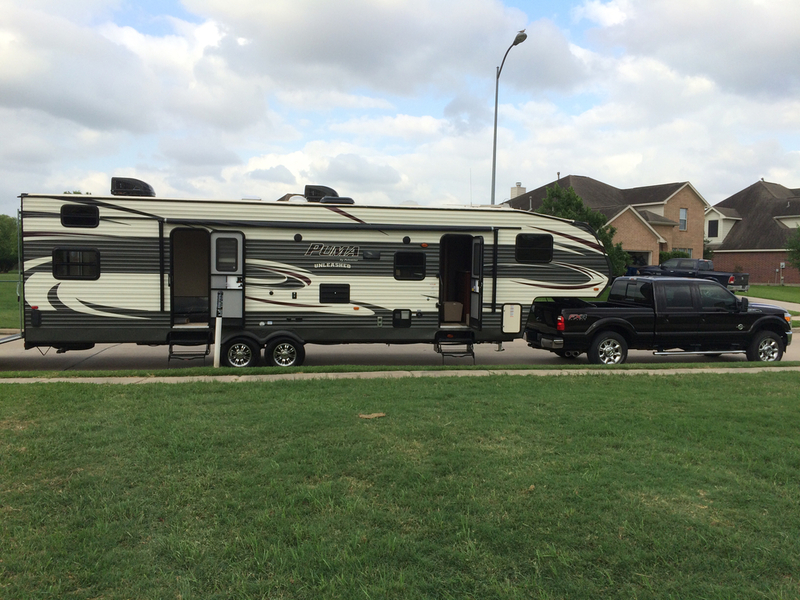 we came from a very small toy hauler model that required we always fold up or down the dinette and sofas so we did not want to do any of that. Garage is almost 12'. Total length is 37'. empty weight is I think 9700 and tongue weight is 14xx. The price was really affordable for us and we really like the layout. 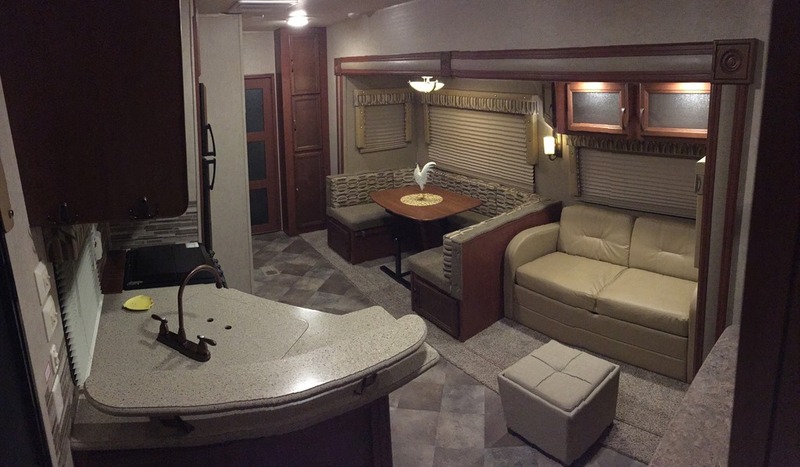 I would have purchased something with fiberglass walls but my first toy hauler has some delam issues and for the time being I'm kind of turned off but there are many that have had zero issues. anyways, I digress. 11' 8" garage with pleny of tie downs. I however replaced the self-tapping screws with thread type screws and nylon lock nuts. As much as we enjoy our 27 HFS, I don't see it as right for your family. Just my opinion.